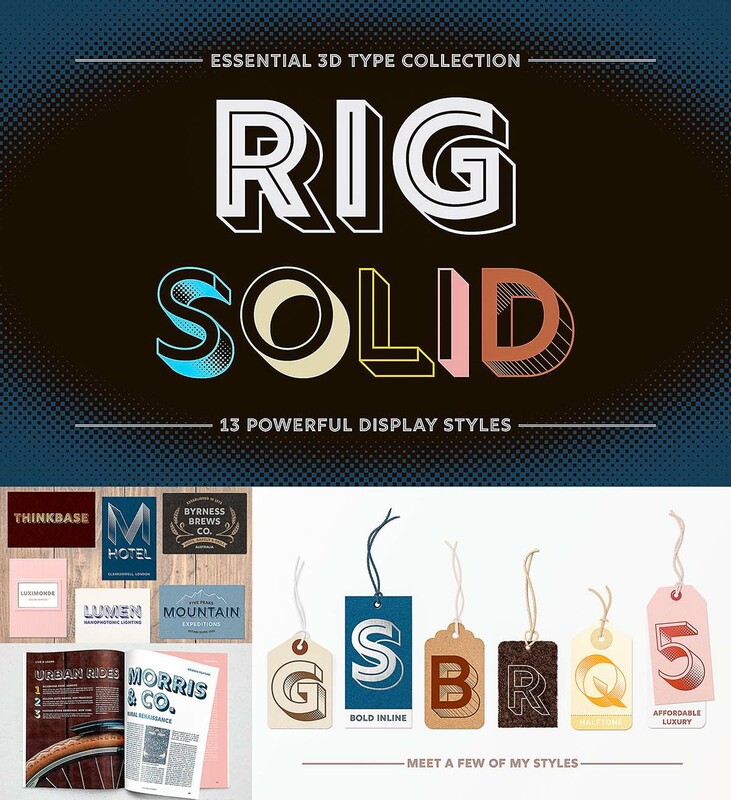 Extend your typography toolkit with Rig Solid’s range of powerful 3D fonts. This pack includes: 13 styles across four weights; Solid and gradient 3D shading. Perfect for headlines and logos. 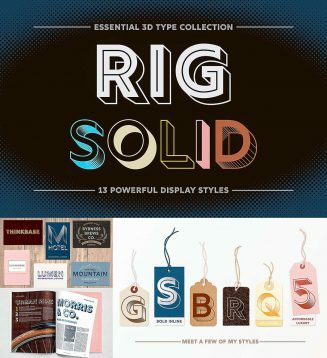 Tags: display font, dot, font style, halftone, outline, poster, solid, stipes, style, typography.